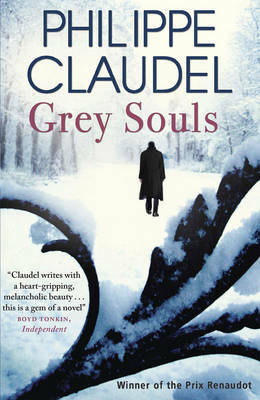 If you’d like to read more you’ll find the full review here. 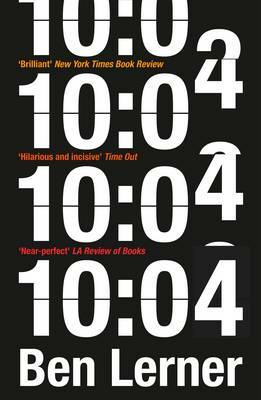 This entry was posted in News, Reviews and tagged America 2007, Contemporary American fiction, Granta Books, Journeyman, Marc Bojanowski, Shiny New Books, state of the nation novel on 2 June 2016 by Susan Osborne. Now here’s a book you can knock off in a few hours and have a great deal of fun while doing so. H spotted it before I did which must be a first given that it’s a novel. He was chortling so much at a review that I felt I had to read the book. 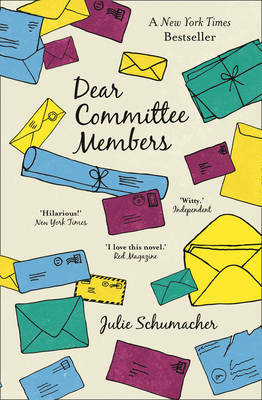 Julie Schumacher’s Dear Committee Members is made up of letters from the office of Jason T. Fitger, long-suffering Professor of Creative Writing and English at Payne University, and he’s had enough. Fitger is currently under siege, writing from his office in the crumbling English department while the Economics bods are having their offices renovated upstairs. Noxious liquids leak through from the toilet above, he has to enter the building through a basement, his window won’t close allowing toxic fumes into his office and that’s just the start of it. He spends an inordinate amount of time writing letters of recommendation – he’s written around thirteen hundred in all – some to other academic institutions, others to a supermarket, a nut emporium and a paintball establishment to name but a few. Interspersed are a multitude of pleas for funding for his advisee Darren Browles, often addressed to his two exes who also work at Payne. Browles is close to the end of his retelling of Melville’s Bartleby in which the titular hero is employed as an accountant in a brothel and Fitger’s convinced it’s a work of genius. Threads of Fitger’s past run through the letters: professional repercussions from old affairs; his sojourn at the notorious Seminar writing workshop; his early flash of literary success and his incontinent use of his personal life as material for his novels. Schumacher’s book is very funny indeed, all the more so for academics, I’m sure, but anyone who’s brushed up against obdurate bureaucracy (haven’t we all) will find themselves sniggering. Even as a bystander on the sidelines of academic life, I winced in recognition at some of it: ‘those already serving in the killing fields of administration’ rang a particularly loud bell. Fitger’s early letters often start in emollient tones but exasperated barbs are soon aimed at students who barely know him but want a reference; at the philistines bent on cutting English departmental funding even further and at the recipients of funding largesse, usually the economists. Beneath all this waspishness beats a kind heart: Fitger tirelessly promotes Darren Browles; entreats his exes to look kindly on deserving students looking for work or funding; hopes in some small way to help his talented friend, hit by tragedy. There are some nice little digs at IT along the way, both at Fitger’s ineptitude – an unfortunate use of the ‘reply all’ function – and help desks who seem hell-bent on doing the opposite. Unsurprisingly, Schumacher turns out to be an academic. I wonder if she was getting a few things off her chest. I’m sure you’ve all spotted the Baileys Prize longlist by now but just in case here it is. Quite a few surprises on it which, of course, makes it all the more interesting. Only two from my wishlist popped up – Anne Tyler’s A Spool of Blue Thread and Kamila Shamsie’s A God in Every Stone – but I have reviewed these four as well: Patricia Ferguson’s Aren’t We Sisters?, Heather O’Neill’s The Girl Who Was Saturday Night, Emma Healey’s Elizabeth is Missing and Xiaolu Guo’s I Am China. Naomi, along with several other eager readers, is shadowing the list over at The Writes of Women. This entry was posted in News, Reviews and tagged American fiction, campus fiction, Dear Committee Members, Julie Schumacher, The Friday Project on 11 March 2015 by Susan Osborne. Around this time last year I mentioned the Reading Agency’s Reading Well initiative in a post on Vintage’s Shelf Help promotion. They’d just launched their second list of books aimed at people suffering from depression. Since then I’ve been keeping an eye open hoping for the chance to vote for titles on a third list, eager to get my old favourite The President’s Hat in with a chance. Instead I spotted a new scheme: Books on Prescription for Dementia, launched a week or so ago. 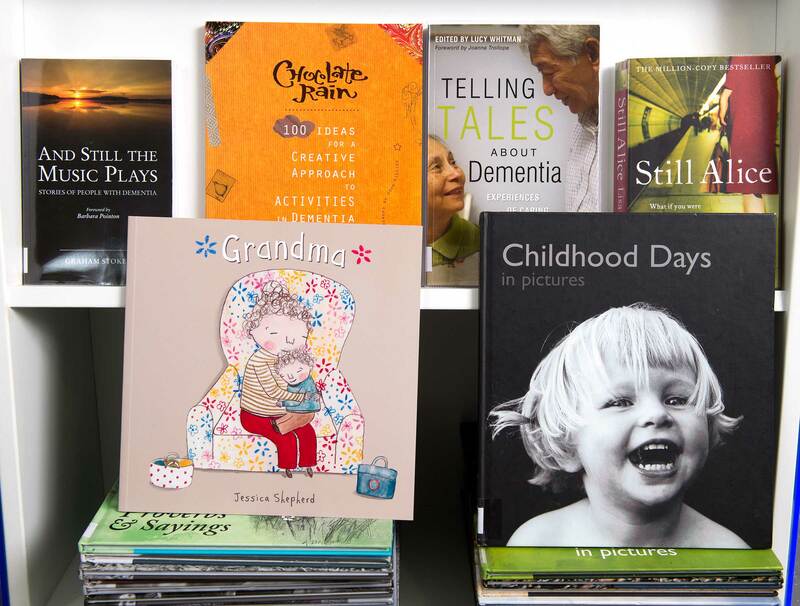 The list associated with this particular initiative includes twenty-five titles ranging from books offering information and advice on living with dementia, support for carers and personal stories about the disease. All are endorsed by health professionals and all should be available from your local library if you live in England. A quick trip to the Reading Well website will explain the way the scheme works better than I can. This seems an excellent idea to me. The initiative is estimated to cost taxpayers around a mere £1 per person on average – peanuts given the help and support it offers. What an innovative and imaginative use of public money. This entry was posted in News, Random thoughts and tagged Antoine Laurain, Books on Prescription for Dementia, Gallic Books, Reading Agency, Shelf Help, The President's Hat on 2 February 2015 by Susan Osborne. Those lovely people at Shiny New Books have been busy again, putting together another issue for your delectation packed with features, interviews and reviews by some of my favourite bloggers. My own contribution is a review of Peter Walker’s Some Here Among Us which mixes the personal with the political on a grand scale, taking its characters from their youthful student days in 1967 to their more sober late middle age in 2010 by way of New Zealand, Washington and Beirut. Why not pop over and take a gander. 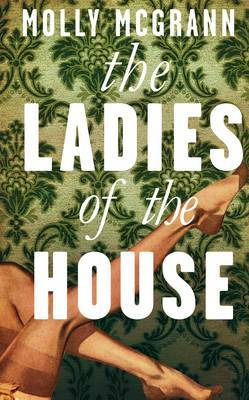 This entry was posted in News, Reviews and tagged Bloomsbury, New Zealand Fiction, Peter Walker, Shiny New Books, Some Here Among Us on 30 January 2015 by Susan Osborne. This is going to be a short post, not that there aren’t lots of paperbacks published in October but few of them take my fancy, I’m afraid, which is probably best for my credit card. I’ve already read and reviewed three at length here so I’ll start with those. 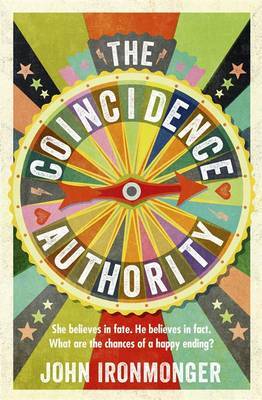 The first is John Ironmonger’s The Coincidence Authority which has a much more eye-catching jacket than the hardback. Humans look for patterns in everything: we seek the reassurance of predictability in a world which is chaotic and random. It helps to keep us sane rather than face a future in which a chance accident may rob us of all that is dear to us. At least that’s what I think. You, of course, may feel that everything happens for a reason, that there is a plan. 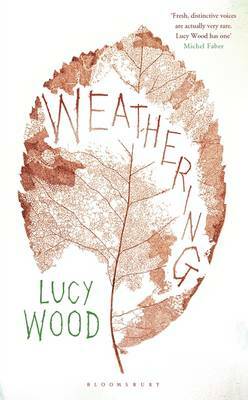 That’s the debate at the heart of this novel which I enjoyed very much. My second choice is Equilateral by Ken Kalfus, a tale of madness, folly and Martians. Set at the end of the nineteenth century, Equilateral opens in the Egyptian desert where nine hundred thousand Arab fellahin labour to create a vast equilateral triangle which will be seen from Mars, so Sanford Thayer, celebrated astronomer and instigator of the project, has calculated. Inspired by Giovanni Schiaparelli’s maps based on his observations of the Red Planet which depict canali on its surface together with his own theories derived from evolution, Thayer has come to the conclusion that Martians are a superior race, busy trying to conserve their dwindling water supplies, with whom earthlings should try to communicate. Sounds bonkers, I know, but Kalfus has a great deal of fun with the idea taking a few well-aimed kicks at colonial arrogance along the way. My third already-reviewed choice is an entirely different kettle of fish. Hubert Mingarelli’s spare novella, A Meal in Winter, in which three hungry German soldiers striding through a frigid Polish forest flush out a young Jewish man, a prize which will ensure that they will be sent out to hunt again tomorrow rather than man the firing squad. One soldier reveals that he’s stolen enough food to make soup and spotting an abandoned cottage they set about lighting a fire, interrupted by the arrival of a hunter and his dog. What ensues frays the bonds between the three soldiers, opening divisions between them and forcing them to face the moral dilemma of what to do with their captive. A beautiful piece of writing. 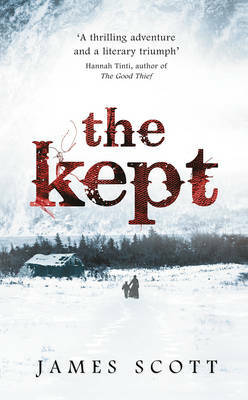 My last choice for this month is James Scott’s The Kept, set in nineteenth century upstate New York where Elspeth Howell has returned to find that her family has been murdered – all apart from her twelve-year-old son. Together they set out to find the culprits. It sounds a bit like Gil Adamson’s The Outlander which I very much enjoyed and Ali’s review at Heavenali has piqued my interest further. That’s it for October paperbacks. If you want to see what I’ll be adding to my TBR in September, here are the paperbacks and here are the hardbacks. This entry was posted in News, Reviews and tagged A Meal in Winter, Equilateral, Fiction, Hubert Mingarelli, J W Ironmonger, James Scott, Ken Kalfus, October 2014 paperbacks, The Coincidence Authority, The Kept on 1 September 2014 by Susan Osborne. Recently published in a single volume, Quicksand and Passing are the only two novels – well novellas, really – written by Harlem Renaissance writer Nella Larsen. They each deserve to be treated separately so I’ll start with Quicksand and save Passing for later. Written in 1928, it’s widely considered to be an autobiographical novel – like the book’s main protagonist, Larsen was the daughter of a Danish mother and a West Indian father – knowledge that makes reading it all the more chilling. It opens with a young woman in a gorgeously decorated room contemplating her future. She’s a teacher at Naxos, an all-black school in the American South. Tired of what she considers to be its smug superiority and emphasis on conformity, she decides to leave despite her engagement, her precarious financial position and any idea of what she might do with her life, impulsively heading for the principal’s study to tell him her decision before boarding the next train for Chicago. Helga rattles straight from her teaching job into a naïve and frantic search for work eventually landing an assignment with a Chicago politician’s widow leading to a job with a New York insurance company. Tiring of that and suddenly in possession of a small inheritance, she travels to Denmark and stays with her aunt who tricks her out in colourful clothing, offering her to Danish society as an exotic curiosity. 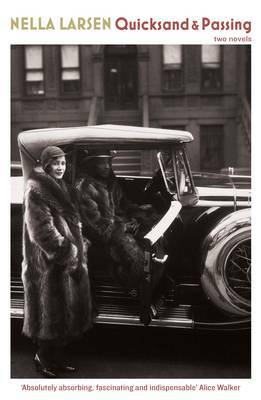 Returning to New York ostensibly for her friend’s wedding she finds herself immersed in Harlem society despite her initial distaste for it. She’s a woman who finds it impossible to settle. Each decision results in excitement, happiness then disillusion. Eventually, Helga stumbles into a situation which seems so out of character as to be contrived. 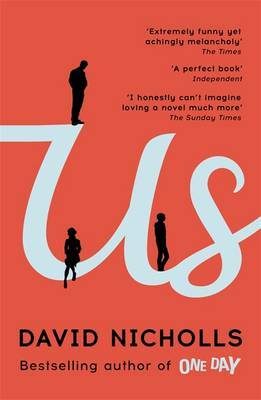 Without the knowledge of its autobiographical element, Helga’s constant restlessness would seem like a very effective literary device to convey the uncomfortable dislocation of belonging to neither one race nor another at a time when the black intelligentsia seemed to want to distance itself from white society, and I think we know what they felt about it all. It’s a sobering book, and felt even more so in the light of events playing out in Ferguson, Missouri as I read it. It seems that the ‘race question’ that so bedevils Helga has far from gone away. There were a few sober moments at the Carolina Chocolate Drops gig I went to last week – stories of newly freed slaves cast adrift ill-prepared for freedom – but that didn’t stop us all having a thoroughly enjoyable time. They play American old-time music – folk and blues – with a few songs of their own drawing heavily on the history of the South written by Rhiannon Giddens who is not only a powerfully gutsy singer but dances a fine jig, too. They were an absolute joy, practically raising the roof of St Georges in Bristol, the last venue of their UK tour. They’re regular visitors here and should you ever spot their name in listings get yourself to where ever they’re playing. You won’t regret it. I’m off to join their mailing list now. This entry was posted in News, Random thoughts and tagged American fiction, Americana, Carolina Chocolate Drops, Harlem Renaissance, Nella Larsen, Quicksand and Passing, Serpent's Tail on 27 August 2014 by Susan Osborne.